ANK law office was established in 1996 and through the years of extensive legal practice has become one of the leading law firms in Ukraine. We have been successfully advising our clients on different matters of Ukrainian law over the last 20 years. As a result of our dynamic development we have combined unique experience and created a highly-qualified professional team of lawyers and auditors. We provide regular legal support to our clients on the most difficult projects and deals. Today, the ANK team consists of more than 25 qualified lawyers and attorneys-at-law and each of them is an experienced specialist in his/her field of legal practice. ANK lawyers are regularly involved as experts by leading Ukrainian business media for commenting latest legislative amendments and government initiatives. ANK law office provides complex legal support to grain, oil and container terminals in Ukrainian ports. We advise clients on the process of attracting international financing from IFC, EBRD and other financial institutions. We act as Ukrainian legal counsel to the container shipping lines, shipowners and shipmanagers as well as P&I clubs. 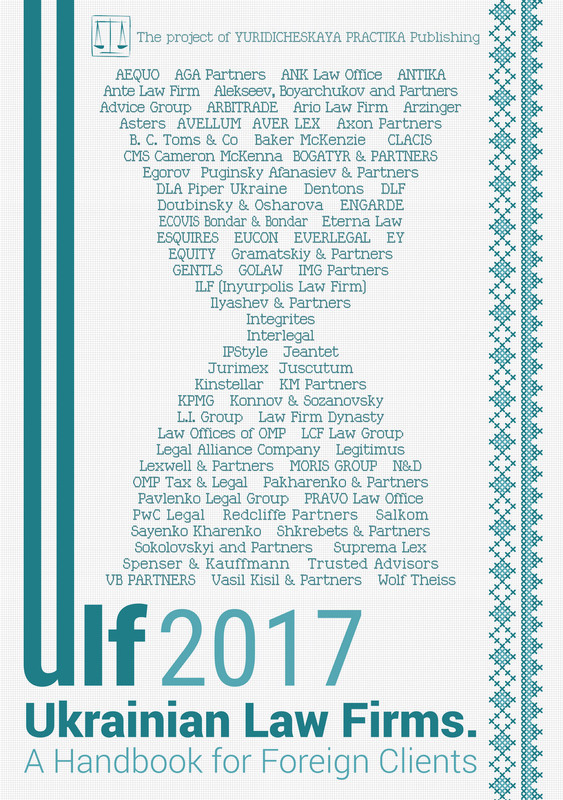 Our corporate and M&A practice advises clients on establishing business in Ukraine, licensing procedure and business restructuring. We have a strong team of court lawyers and attorneys-at-law who are ready to protect the interests of clients in court. Due to the large network of correspondent offices abroad, ANK law office can arrange effective legal assistance almost anywhere in the world. We cooperate with maritime administrations and classification societies and provide clients with professional legal assistance during the sale and purchase of vessels and yachts. ANK lawyers are fluent speakers in English, Ukrainian and Russian. — Tax and Legal Due Diligence. Investments in Port Infrastructure: What Should Investors Be Aware of? In January 2017 the Ukrainian Sea Port Authority (USPA) published the results of cargo transshipment in Ukrainian seaports for 2016. According to USPA, in the reporting year Ukrainian ports transshipped a total of 131.7 million tonnes, which is 9% less compared to the same period in 2015. At the same time, in 2016 several companies at once declared the start of implementation of large investment projects in ports. For example, USPA, Cargill and MB Cargo have signed a Memorandum on construction of a grain terminal at Yuzhny port while the EBRD and IFC have confirmed their readiness to provide partial financing for the project. In December 2016 the Ministry of Infrastructure and Hutchison Ports signed a Memorandum, upon which a famous port operator from Hong Kong could become the operator of Chernomorsk Port and, first and foremost, its container terminal. In this regard, potential investors often ask us about the legal instruments available under Ukrainian law which could be used for investment projects in Ukrainian ports. The first active talk about the necessity to transfer the ports into concession arose in May 2012 after the Verkhovna Rada had adopted Law of Ukraine No.4709-VI On Sea Ports of Ukraine (hereinafter — the Ports Law). The Law introduced the possibility to transfer into concession berths, motor roads and railway tracks, engineering networks as a unified property complex. One article of the Law included the list of types of agreements, which could be used for private investments in ports; along with the well-known lease and joint activity agreements, the article also listed concession agreements. However, in order for the concession to truly work, the Ports Law alone was not sufficient. It was necessary to adopt several regulatory acts, while some experts insisted on introduction of a special law on concession in ports, drawing an analogy with the law on concessions for construction of automobile roads. In October 2012 the Government included property complexes of all sea ports to the list of objects of state property, which could be transferred into concession. The Ministry of Infrastructure has even drafted a model structure and content of technical feasibility study of the concession project. Market insiders said that Yuzhny Port was selected to become the pilot project in this field. However, not a single concession competition has been executed, nor was any concession agreement signed in sea ports in the period of 2013-2015. Last year the Ministry of Infrastructure decided to return to the idea of transferring the ports into concession. However, now they intend to start with small ports, where the private stevedoring business is hardly represented or is completely absent. The issue here is Olviya Port and Kherson Port. As world experience shows, concession is used successfully in many seaports. Therefore, we can only appreciate the efforts of the Ministry of Infrastructure in this direction. Starting from 1992 a legislative ban on the privatization of seaports in Ukraine has been in place. The Ports Law itself implemented the general guidelines, upon which strategic port infrastructure facilities (quay walls, water areas, approaching channels, railway tracks and automobile roads of general use) could not be privatized. However, unified property complexes of the ports — state enterprises — and its business units could be privatized. Besides, since at the moment when the Ports Law was adopted a lot of warehouses, storage areas, buildings and other port facilities were already leased to private stevedoring companies, a special note was added to the Ports Law. The note provides that these objects could be bought back by the lessee who added fixtures to the leased property, the value of which exceeds its depreciation value as of the moment of privatization by 25%. However, the main step required to start privatization of seaports has not been taken yet because all Ukrainian seaports are still included in the list of state-owned objects, which are not subject to privatization. It is obvious that privatization of seaports could not be widespread. It should be used in cases where concession or other form of private public partnership does not work. Besides, transfer of a particular port to a private investor should not lead to monopolization of a port (stevedoring) services market in that particular region and, therefore, it requires the special attention of the Antimonopoly Committee and the Ministry of Infrastructure of Ukraine as market regulators. Whether we like it or not, nowadays lease seems to be the only legal mechanism, which really works in Ukrainian ports. It is worth noting that the majority of lease agreements on immovable property have replaced joint activity agreements, which had been widespread in ports in the 1990s. By terminating joint activity agreements, which provided for unification of property shares of participants and for payment of a part of the income for the benefit of the port, the Ministry was expecting lease fees to be significantly higher and that the state would get more benefits. In practice, however, these expectations did not hold water. Lease payments were subject to state regulation and the leased property was extremely worn-out. That is why its market appraisal value, which is the basis for calculation of the lease fee, was not high. That is why the so-called “port services agreements” were created in several ports. These “services agreements” were meant to compensate port financial losses during transfer from joint activity into lease agreements. Nevertheless, many lease agreements were signed for a period of 10 years or longer. Later on these lease agreements were extended for even longer terms, which was appreciated by the port operators for it is well known that consistent business rules are any investor’s top priorities. According to our results, the main problem of port operators working under lease agreements is the impossibility to carry out reconstruction, modernization of their leased objects, to say nothing about comprehensive construction of port infrastructure objects. In fact, the Lease of State Property Law provides for the lessee’s right to execute permanent improvements of a leased object only upon the lessor’s consent, unless otherwise stated in the lease agreement. In reality regional departments of the State Property Fund, which act as the lessors under lease agreements with port operators, do not only double the regulations requesting the lessee to obtain approval for conducting permanent improvements, but also directly indicate that the lessee’s costs and expenses for such improvements shall not be compensated regardless of whether such consent was granted or not. The procedure for obtaining the consent for making permanent improvements to the leased property is approved by Order of the State Property Fund of Ukraine No.1523 (the Order). According to the Order, the Fund formally approves a decision on granting consent based on the documents presented by the lessee. In practice the Fund is not a decision-maker here because the real decision is made by the Ministry of Infrastructure at a meeting of the special commission. As our experience of last year shows, the meetings of the commission became public and the Ministry invites not only the port and the Fund but also the lessee, who is to describe in detail what permanent improvements they intend to carry out and what positive effect it would have on the whole enterprise. Nonetheless, the practice of granting such permits shows that the Ministry discusses the possibility of conducting such permanent improvements on condition that its value shall not be compensated. Such an approach seems to be at least strange, taking into account the fact that the lessee spends a lot of time, money and effort collecting the requested set of documentation, which includes design and cost estimating documents and an expert reports on the results of the expertise. Should the state, represented by the Ministry and the Fund, like to study the planning of the permanent improvements deeper and would like to check the cost sheets of the future works and to be reassured that they correspond with existing standards and regulations, the lessee shall be entitled to compensation of such permanent improvements in case of termination of the lease agreement. Should the state not intend to compensate the costs spent for the permanent improvements to the lessee (which today is prescribed in all approvals issued by the Ministry) from the very beginning, the lessee should then be released from submission of the estimated cost sheet and expert report and the procedure should be simplified. Special attention should be given to the question of the terms when the lessee may receive the consent of the Fund to conduct permanent improvements. The current edition of the Order does not provide for any terms for the regional department of the Fund to examine the lessee’s application. In addition, there are no terms for examination of the set of documents in the Ministry of Infrastructure. In reality this means that it may take the lessee 3-6 months to receive approval for permanent improvements, and sometimes even longer. From our point of view, the Ministry of Infrastructure should think about changing such practice and speed up the examination procedure of these questions and start issuing approval for compensation of permanent improvements, especially when we are talking about long-term lease contracts. Attracting investments into ports, which use lease instruments, seems to have low prospects. World experience shows that concession for construction or for operation are the right instrument for the job. It is clear that the Concession Law and the Ports Law do not regulate these issues in due course. That is why we highly appreciate the initiative of the EBRD, which declared that it is ready to grant the funds for drafting the law on concession in the ports. Also we believe that the announced concession projects in the Olviya and Kherson ports shall be successfully realized and will get positive feedback from foreign investors.